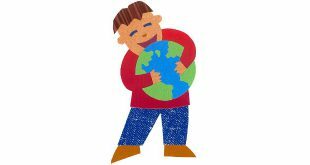 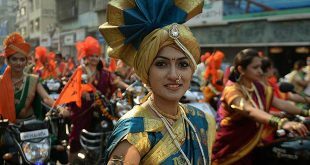 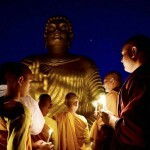 Buddha Jayanti Images: Lord Buddha Stock Photos for Students and Children – Gautama Buddha, also known as Siddhartha Gautama, Shakyamuni, or simply the Buddha, was a sage on whose teachings Buddhism was founded. 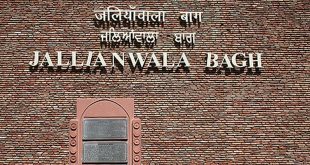 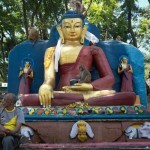 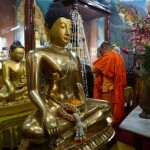 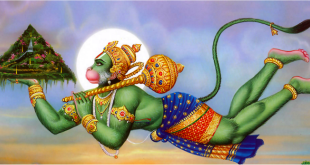 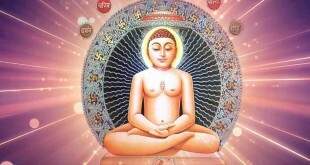 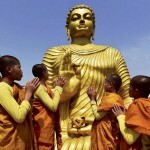 Listed are some of the images of Buddhist monasteries, Lord Buddha statues, paintings, laughing Buddha etc. 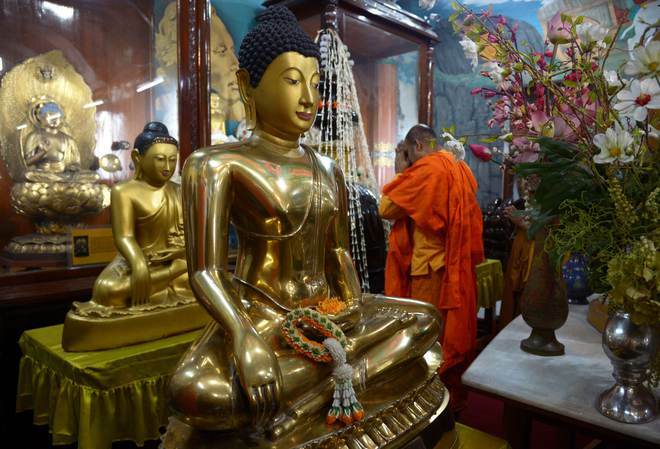 A Buddhist devotee offers prayers at a Buddhist temple during the Buddha Purnima Festival to commemorate the 2559th birth anniversary of the Buddha in Kolkata on May 4, 2015. 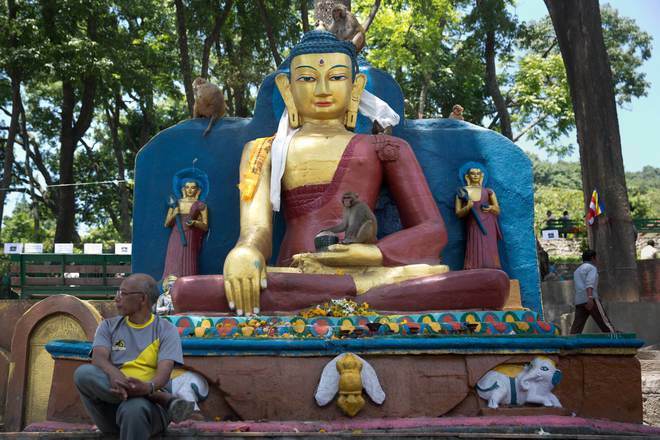 A man sits next to a statue of Buddha during Buddha Purnima celebrations outside the Boudhanath Stupa in Kathmandu on May 4, 2015. 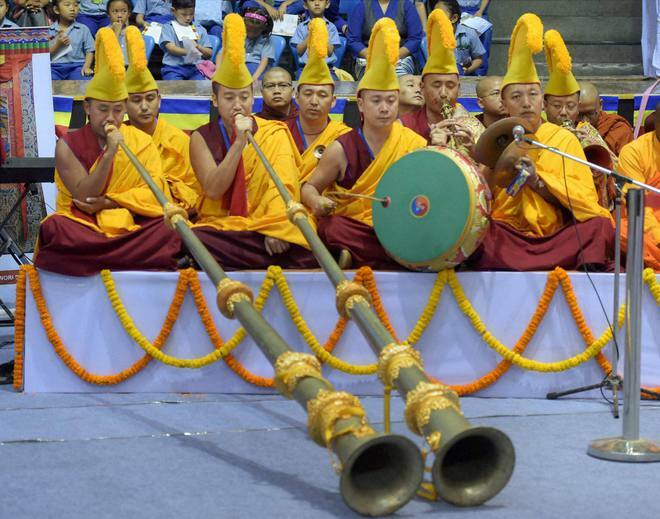 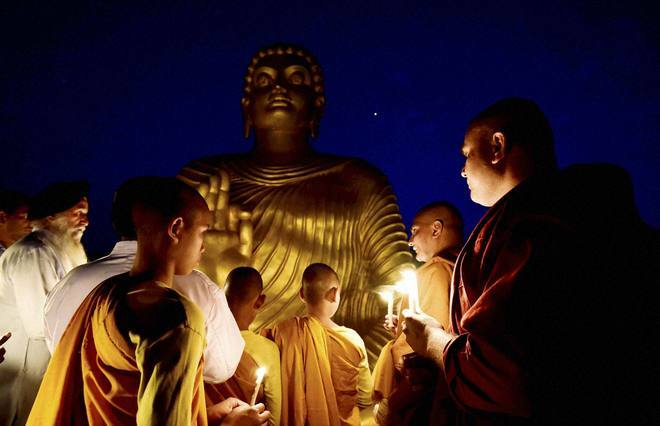 Buddhist monks offer prayers on the eve of Buddha Purnima, in Bhopal on May 3, 2015. 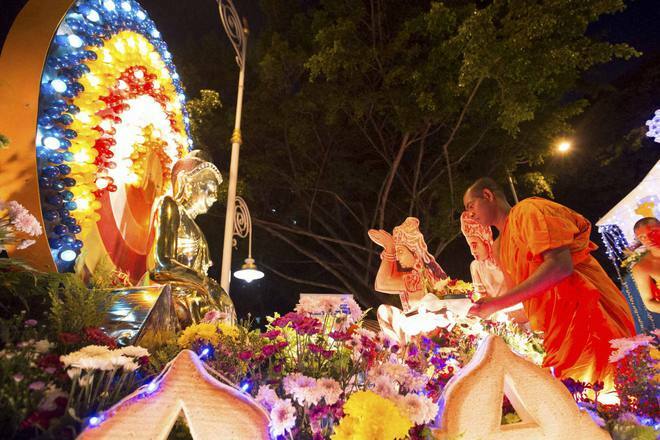 Buddhists monk put offerings from devotees on a Buddha statue during Wesak Day parades, also known as Buddha’s birthday, in Kuala Lumpur, Malaysia, on May 3, 2015. 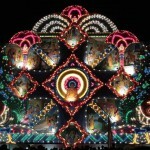 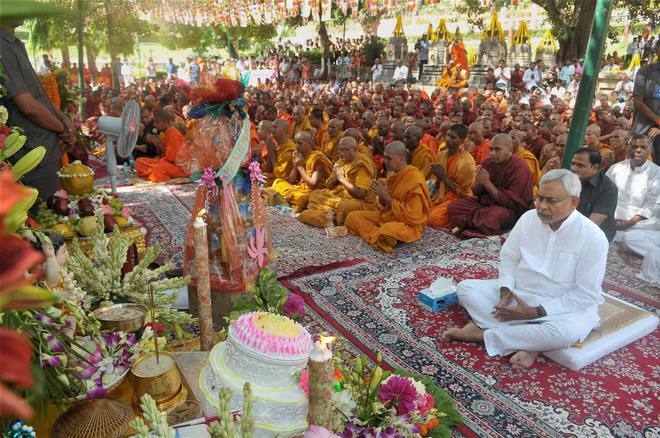 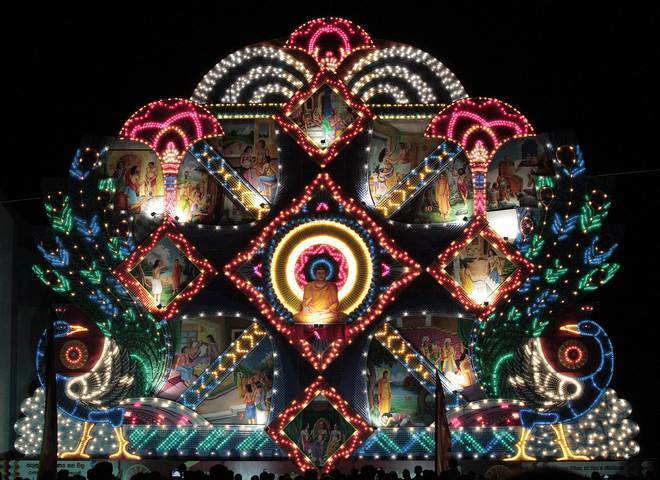 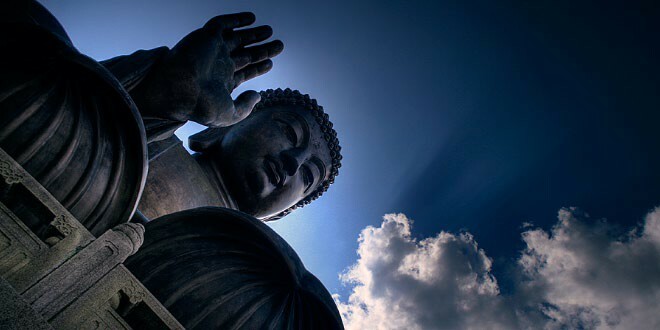 Vesak Day, one of the holiest days for Buddhists, offers an opportunity for all followers to come together and celebrate not only Buddha’s birthday, but also his enlightenment and achievement of nirvana. 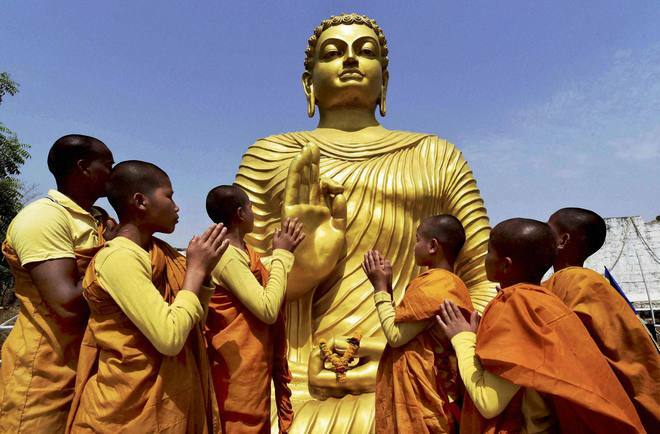 Devotees pay obeisance before a statue of Lord Buddha on the occasion of Buddha Purnima, in Bhopal on May 3, 2015. 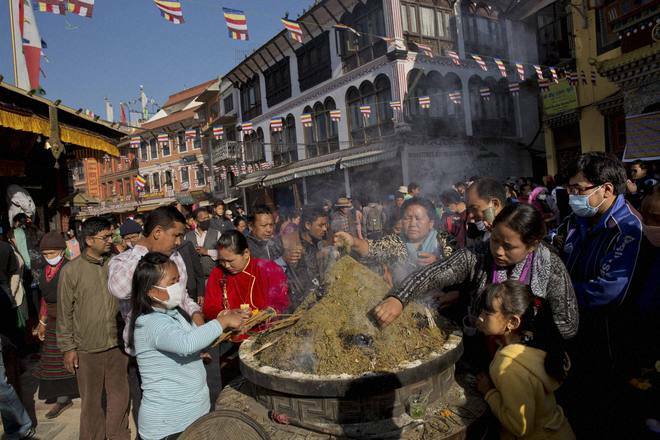 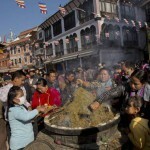 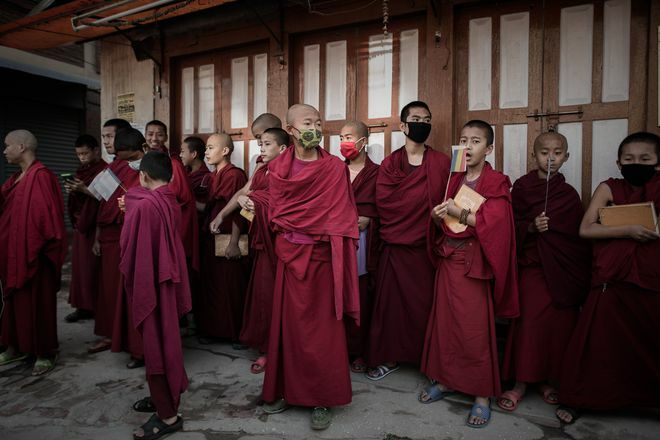 Nepalese Buddhist monks gather for Buddha Purnima celebrations near the Boudhanath stupa in Kathmandu on May 4, 2015. 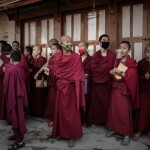 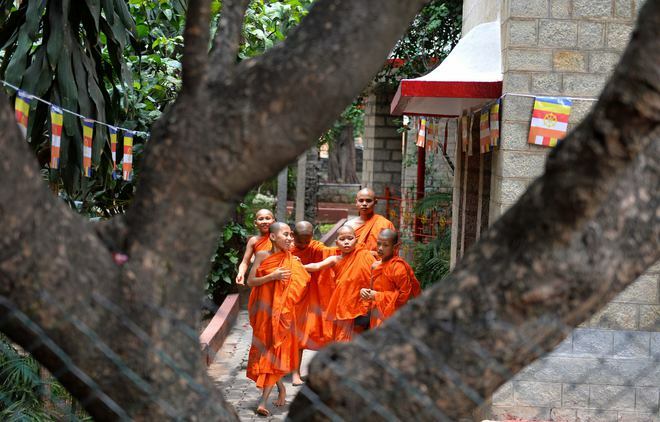 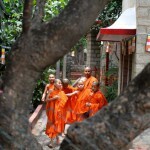 Young Buddhist monks are seen through a bodhi tree as they arrive to offer prayers on the occasion of Buddha Purnima in Bangalore on May 4, 2015, the 2559th Buddha Jayanthi or birth celebrations of Buddha. 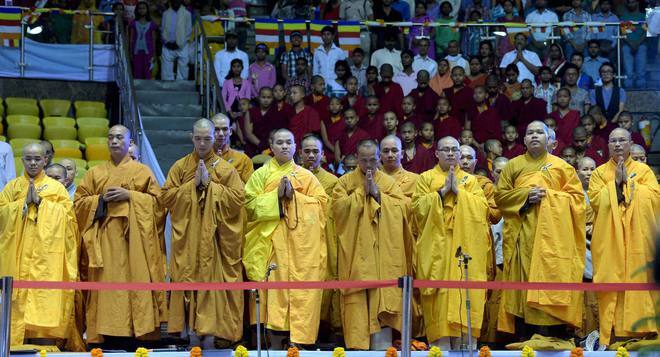 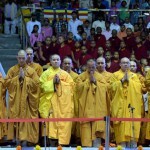 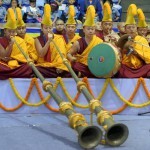 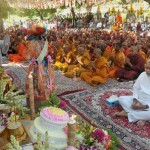 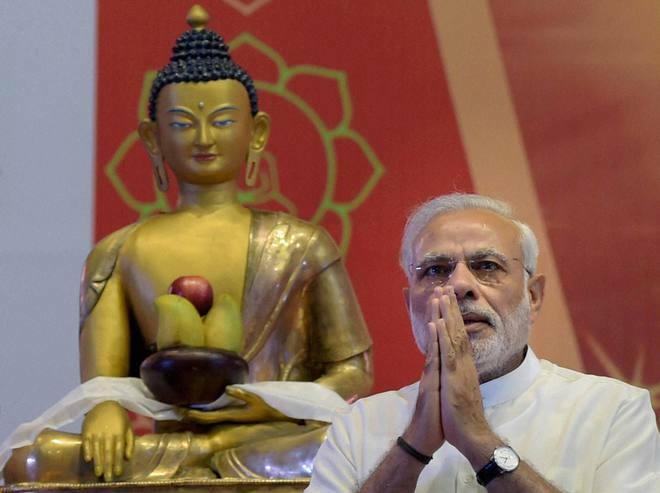 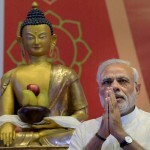 Young Buddhists listen to Indian Prime Minister Narendra Modi’s speech during International Buddha Poornima Diwas celebrations in New Delhi on May 4, 2015. 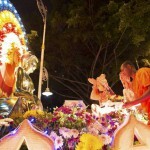 Vesak, also known as Buddha Purnima is on a full moon day and marks the birth, enlightenment and ‘parinirvana’ or passing away of the Buddha.